A lovely new accessory which is easy to put together and looks great when added to other sets. 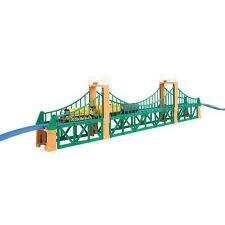 Trains can either pass on the top or bottom levels of the bridge. Two sloping rail track pieces included to allow easy addition to existing sets.